People usually choose to remove concrete when it is damaged and needs to be replaced. But this should be done after all options to repair has been considered. Plus, look at the total cost – now and in the long run. Think of just repairing the concrete, especially If it only has thin cracks if it sunk. Tiny cracks can simply be filled up and concealed. There are uneven, wide and deep cracks. Incidences of frost heave. Sections of the concrete are pushed up by the ice that appears in frosty climates. Settled concrete. This is a result of improper preparation of the sub-grade. Further, you can consider concrete removal if you are changing your property layout, or there are ongoing infrastructure improvements such as road widening in your locality. This is the most basic method. When a homeowner uses a jackhammer or sledge hammer to demolish concrete and then haul away the rubble, this is dismantling. In contrast, professional contractors however use concrete cutting tools and a crane to remove the rubble. Dismantling has little noise, much reduced dust and produce limited damage to structures within the environment. That’s why renowned Melbourne-based concrete cutting, drilling and sawing contractor Megasaw favours dismantling. 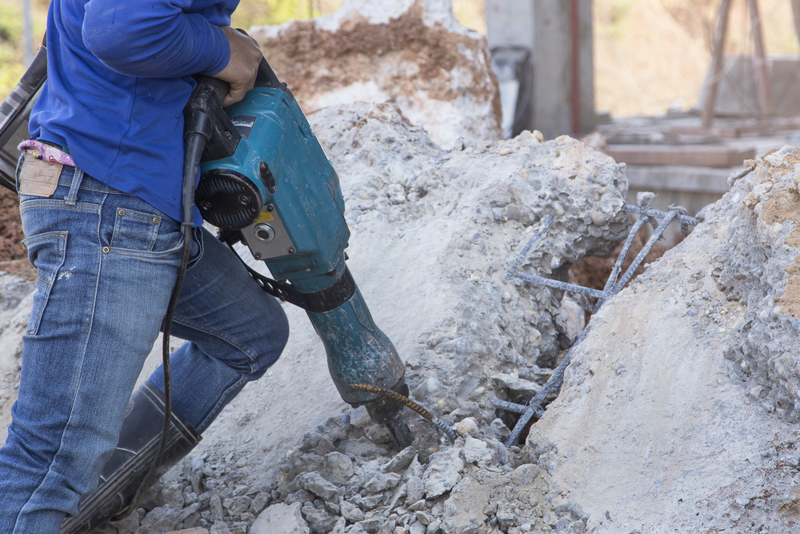 Here are some areas where you may utilise concrete saw cutting or robotic hammering. Wire sawing – needed to remove the wire mesh used to reinforce concrete. Wall sawing – most appropriate when you are renovating an office or a house. This is done using the base of a concrete saw. Flat drilling – suitable for cutting concrete from floors, pavements, bridge platforms or loading docks. A slab sawing attachment is used to make precise cuts by a series of up-and-down movements. This is designed to avoid broken cabling pipes, and other embedded material. Water can be used to cut concrete using a variety of devices – mainly robotic demolition equipment and handheld guns. This technique is more appropriate to use in cities where water is readily available and where vibration from concrete removal is a concern. Just don’t forget to check and comply with local regulations regarding water and slurry disposal before you start the process. This is most appropriate for creating cracks in precise sections where concrete is unneeded. To remove the concrete, drill holes and apply expensive grout is applied to the drilled holes. Then leave the concrete for a few hours. It will crack. The concrete can then be removed in portions. Each technique is suitable for a particular area but note that other techniques may also be applicable. 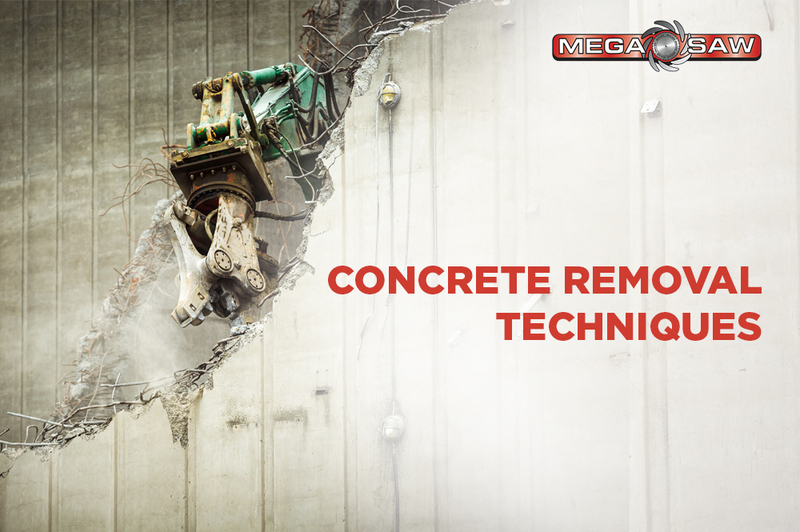 To get the best results, consider enlisting the services of a seasoned service provider like Megasaw Concrete Removal Service.